Round trip, direct, door to door, private vehicle, ground transportation/transfer service from Toronto Pearson International Airport (YYZ) Toronto, Canada to wondrous Niagara Falls, Niagara-on-the-Lake, Canada and return. A savings of 5% when booked. Wheelz Niagara welcomes the opportunity to “take you places”. 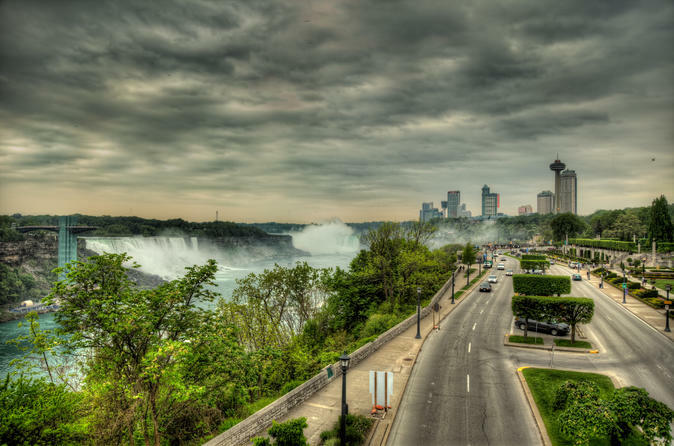 We offer a hassle free, roundtrip, direct, door to door, casually upscale, comfortable, private vehicle, ground transportation/transfer service you can rely on from Toronto Pearson International Airport (YYZ) Toronto, Canada to wondrous Niagara Falls, Niagara-on-the-Lake, Canada and return. "From Anywhere to Niagara and from Niagara to Anywhere". We will be waiting, to meet and greet you, when you arrive, we track all incoming flights. All passengers must proceed to the Prearranged Limo Desk at Pearson at DOOR "A" and register with the attendant. Your car/driver will then be summoned from the parking pool. We track all flights, he is waiting.